In 1792, the 26-year-old German Catholic philosopher, theologist, and mining engineer Franz Xaver von Baader came up with a way of saving gunpowder in mines. The idea was to make a conical or mushroom-shaped hollow in the front of the gunpowder charge. His reasoning was not recorded, and it is not clear what effect it had, if any, but it was used in Norway and later in the mines of the Harz Mountains in Germany, but not since. Gunpowder does not detonate by shock wave the way high explosives do, so the similarity in form of Baader's invention and later shaped charges may be coincidental, since in true shaped charges, the effect is due to focusing the detonation wave, which gunpowder does not have. The hollow in the gunpowder may well have been to allow the gases to cool a bit before hitting the rock, which, while reducing its effectiveness in moving rock, would have been important in reducing the chance of methane (called fire-damp in those days) explosions. Things were a little different 91 years later, in 1883. The chief company engineer of the nitrocellulose factory of Wolff & Co., in Walsrode, Germany, was a man named Max Von Förster. Von Förster tested a hypothesis "to give the detonating gases of gun-cotton a certain direction aiming towards the target" through a series of experiments with hollowed-out charges. Aiming at thick wrought-iron plates, he proves his hypothesis, saying, "Estimated on the whole, it appears that the effect of the hollow cartridge of the same size and less weight is superior to the full one of more weight". Förster had discovered what we now call the unlined cavity principle. It is a shaped charge, but only the explosive gases are propelled forward, and the effect is not nearly as powerful as the lined cavity shaped charge. 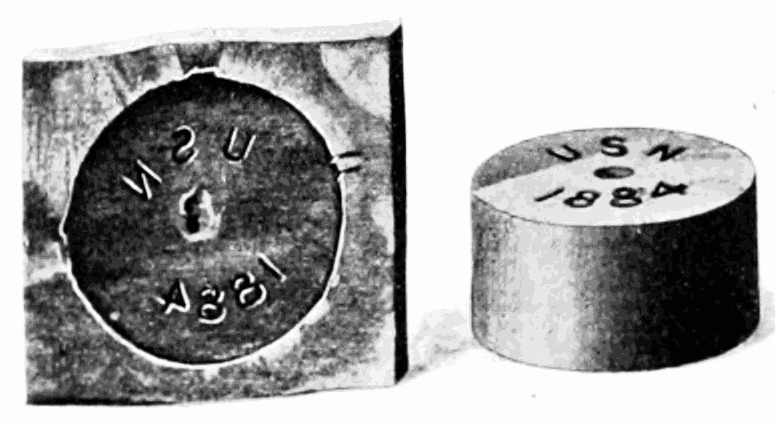 In 1885, Gustav Bloom patented a metal detonator cap with a hollow in it, to get a "concentration of the effect of the explosion in an axial direction." This is the first lined cavity shaped charge. Three years later, in 1888, Professor Charles E. Munroe, a chemist working as a civilian for the U.S. Navy's Naval Torpedo Station, found the same effect in a different way, apparently not having seen Förster's previous work. Among experiments made to demonstrate the resistance of structures to attack by a mob was one upon a safe twenty-nine inches cube, with walls four inches and three quarters thick, made up of plates of iron and steel, which were re-enforced on each edge so as to make it highly resisting, yet when a hollow charge of dynamite nine pounds and a half in weight and untamped was detonated on it a hole three inches in diameter was blown clear through the wall, though a solid cartridge of the same weight and of the same material produced no material effect. In molding the gun cotton at the torpedo station, as stated above, a vertical hole was formed in each cylinder or block in which to insert the detonator, and in the final press a steel die was laid upon the cake so that an inscription in letters and figures was forced upon it. This inscription was indented in the cylinders and was raised upon the surfaces of the blocks. When the gun cotton was fired untamped, in testing it, the cylinder or block was usually placed with the inscribed face resting on a polished iron plate or iron disk, and after firing, if the gun cotton had detonated it was invariably found that not only was a vortexlike cavity produced below the detonator, but that the inscription on the gun cotton was reproduced on the iron plate, and, what was most singular, when the inscription was indented in the gun cotton it was indented in the iron plate, and when the inscription was raised on the surface of the gun cotton it was reproduced raised on the surface of the iron plate. In experimentally investigating this phenomenon I eventually soaked several cylinders in water, so that I could bore them without danger, and then bored holes of various diameters and depths in them, until in the last instance I bored a vertical hole an inch and three quarters in diameter completely through the cylinder. 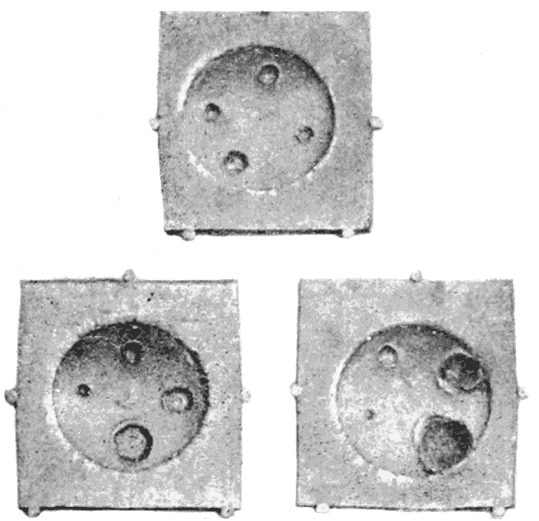 These wet cylinders were each placed on a similar iron plate, a similar dry disk was placed on each as a primer, and they were successively fired, when it was found that the deeper and wider the hole in the gun cotton the deeper and wider were the holes produced in the iron plate, until when the completely perforated gun-cotton cylinder, from which at least half of the weight of explosive had been removed by the boring, was fired, the iron plate was found to be completely perforated. 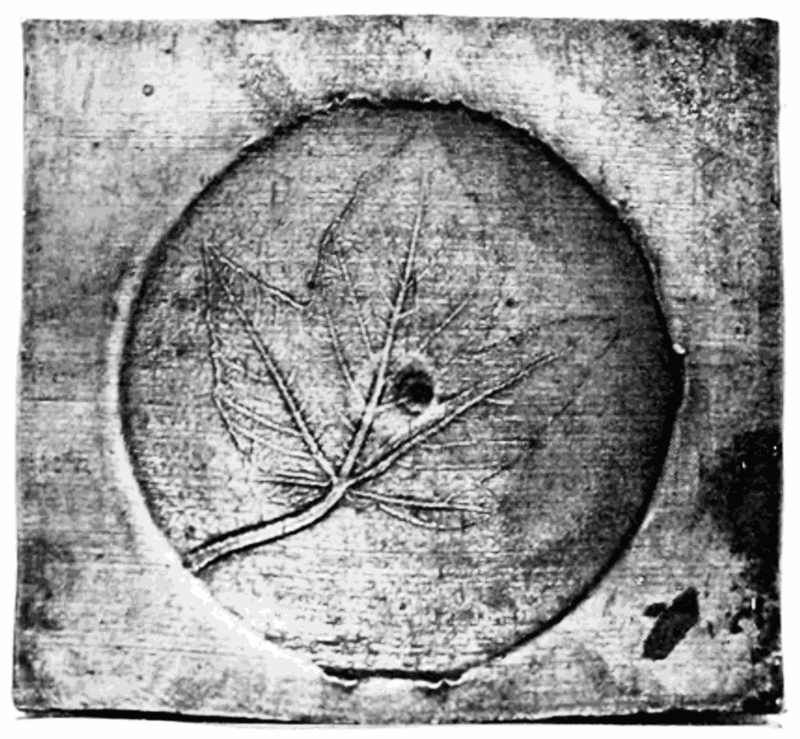 Advantage was taken of this action of the rapidly moving molecules to produce some beautiful effects by interposing laces, coins, leaves from the trees, and stencils with various devices cut in them between the base of the gun cotton and the iron plate, for after the detonation of the gun cotton the objects were found to be reproduced upon the iron with the utmost fidelity and in their most delicate parts, and the impressions were raised upon the iron as the objects had been before the explosion. In the first experiment, the tin can acted as a liner. A liner changes the dynamics of the shaped charge enormously. In the later experiments, the charges were unlined, and the crucial distinction seems not to have registered with Munroe. In a lined cavity shaped charge, the liner is crushed and reshaped into a projectile jet of metal, traveling at a respectable multiple of the detonation speed of the explosive. In some modern shaped charges, a detonation velocity of less than 10 kilometers per second can produce jet velocities in the range of 90 kilometers per second. On December 11, 1911, a U.K. patent was issued to the company WASAG, of Berlin, Germany, for a cavity shaped charge, not mentioning any prior work on the subject. It had versions with paper linings, linen linings, and metal linings, but stated that these were merely for waterproofing, and metal linings would be used in shells fired by cannon to prevent the lining from deforming due to the sudden acceleration. The patent was tried in torpedo tests in 1913, and shown to be effective, but the British decided not to use it, and World War I had no shaped charges. On June 25, 1936, an Englishman, Professor R. W. Wood of Johns Hopkins University published a paper in the Proceedings of the Royal Society (as a foreign member of the Society), titled Optical and Physical Effects of High Explosives. My interest in the study of the effects produced by high explosives originated in the investigation of "evidence" in a number of murders by bomb, and more especially in connexion with a most unfortunate and unusual accident which resulted in the death of a young woman who, on opening the door of the house furnace to see if the fire was burning properly, was struck by a small particle of metal which flew out of the fire and penetrated the breast bone, slitting a large artery and causing death in 2 or 3 minutes from internal haemorrhage. The particle, which was not much larger than a pin-head, was submitted to me for identification, and though its form resembled nothing with which I was familiar, I surmised that it was probably a part of a dynamite-cap or "detonator" used for exploding the dynamite charges in the mines, which, by some carelessness on the part of a miner, had been delivered intact with the coal. These detonators are spun from very thin sheet copper and consist of a tube about 5 mm. in diameter and 40 mm. in length. 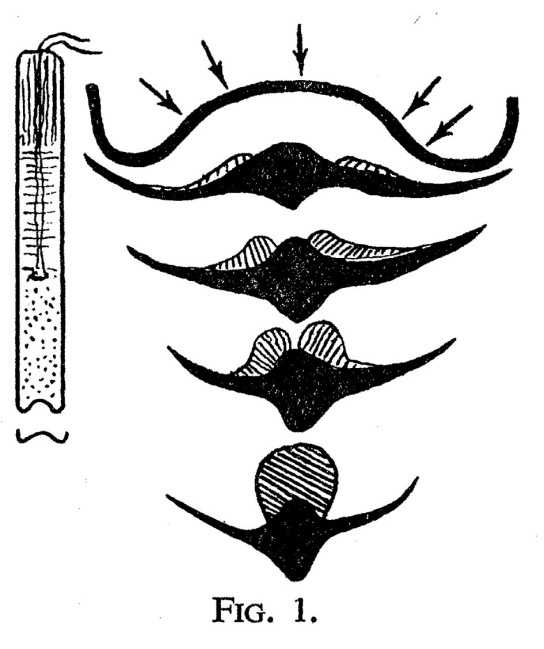 The head is formed into a shallow cup, as shown in cross-section if fig. 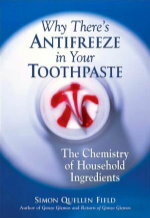 1, and the tube is charged with mercury fulminate and fired by an electrically heated wire. It seemed probable that the solid pellet of copper, recovered during the autopsy, had been formed in some way from the concave head of the detonator by the enormous instantaneous pressure developed by the detonation of the fulminate. I accordingly suspended one about 2 feet above a large earthenware jar holding about five gallons of water, pointing the head downwards. On firing the detonator the jar was shattered into a dozen or more pieces by the pressure wave exerted in the water by the passage of the small copper fragment (the head of the detonator) entering into the water with three times the velocity of a rifle bullet, just as a milk can filled with water is burst open when the bullet of a high powered rifle is fired through it. The minute fragment of copper which was found in the ruins of the jar matched perfectly the fragment found during the autopsy but bore no resemblance to the original head of the detonator which is about the size of, and resembles closely the cap of, a shot-gun shell after it has been indented by the firing pin. It was a pear-shaped pellet of copper, surrounded at the middle by a skirt of thin copper of a diameter considerably less than that of the original head of the detonator. This looked interesting, and a study of exploding detonators was commenced with a view of finding out how the forces operate to mould this solid pellet. Wood had discovered what we now refer to as explosively formed projectiles. But no military seemed to understand the importance of the effect he described. That changed during World War II, when Dr. Franz Rudolph Thomanek, on February 4, 1938, discovered the importance of the metal lining. It seems that everyone involved is rediscovering the effects without knowledge of prior work (although Wood, after discovering the effect, does research and finds Monroe's documentation of it). Between then and 1943, Thomanek experiments with different hollow shapes, and different liner thicknesses (including tapering the thickness). In Zurich, in 1937, a Swiss engineer, Dr. Henry Hans Mohaupt, also came up with a metal lined hollow cavity shaped charge, and tried to get the British government to pay him for the expense of developing it. They refused to pay, as hollow explosives and their effects were well known by then, not seeing that the metal liner was an important new invention. But back home in Britain they quickly discovered that metal lined cavities made a huge difference. Mohaupt brought his idea to the U.S. on October 18, 1940. First developed as a rifle grenade, the idea morphed into a rocket propelled munition with a shaped charge armor-piercing warhead, that became known as the "Bazooka", named after a pipe-like musical instrument in a then-current comic book. Despite being a morale-boosting weapon loved by the public, the bazooka did not actually work well as a shaped charge device, as the fuse was too slow, and the charge only went off after the warhead had slammed into the side of the tank and deformed. Some spalling inside the tank occurred, but no penetrating hole in the armor came to be. The U.S. Navy had better luck with the shaped charges used in torpedoes and anti-submarine bombs. In the Korean War, this was remedied with the 3.5 inch Super-Bazooka. The U.S. Navy, at this time was having trouble with its 5-inch HVAR rockets just bouncing off the armor of the Soviet T-34 tanks used by the North Korean Army. The job of fixing this fell to the explosives experts at the Navy's China Lake base. In 20 days, they developed new warhead designs from scratch, incorporating shaped charges, for the 6.5-inch ATAR (Anti-Tank Aircraft Rocket). Non-military uses of shaped charges began to find use during the 1950's (actually starting as early as 1948). Oil and gas exploration companies had been using well casings since the 1920's to prevent rock around the borehole from collapsing inwards and blocking the bore. This created a problem, since now the oil or gas had no way to enter the casing. Casing perforators were invented, where bullets were inserted into carriers and lowered into the well, then set off so the bullets would pierce holes in the casings, and allow the oil or gas to flow through the holes. Bullets created problems of their own, however, as they would often end up blocking the holes they had just created. Enter shaped charges. The metal liner of the shaped charge could be designed to disintegrate into tiny pellets once it had penetrated the casing and the rock behind it, or it could be made of a material such as aluminum, which would vaporize and burn away after penetration. This process is called perforating. 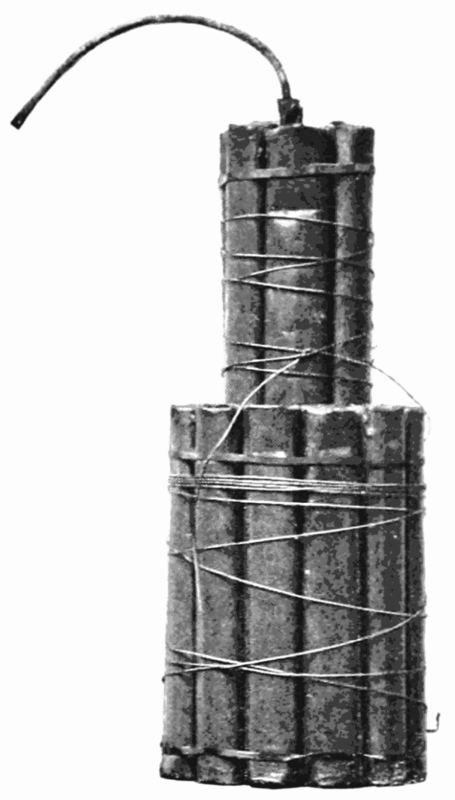 An array of shaped charge explosives, arranged in a cylinder, with the charges spiraling around the outside, form the device that is lowered into the well. Early devices use sensitive primary explosives in the detonators, triggered by heating a wire to incandescence with a small battery. These proved susceptible to detonation by stray radio traffic, as the mile-long wires needed to reach the bottom of the well acted as long antennas. Strict radio silence had to be enforced to prevent accidental ignition. 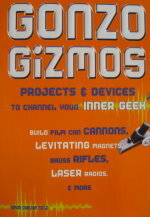 Later devices used exploding foil detonators that require some three megawatts of power to initiate (delivered by high voltage capacitors in the device). This is millions of times the amount of power that can be delivered by communications radios, and now radios and cell phones can be used without fear of causing accidents. The metal liners in the shaped charges form projectile jets of explosively formed metal that penetrate through the casing and far into the surrounding rock. The length of the jet is a function of the diameter of the metal liner. 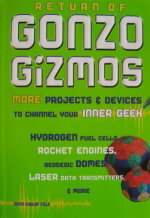 Jet lengths are generally many times the charge diameter, and carry enough kinetic energy to penetrate even farther. In a shaped charge, the shape of the metal lining has a big effect on the result. A slightly domed disc, like that in Professor Wood's fulminate detonator, is reduced in diameter and increased in thickness to produce an explosively-formed projectile, or EFP. If the liner is instead a cone, we get a thin jet of metal that can be very long. These jets are very good a piercing holes in thick metal or rock at close range. EFPs are better when the range is greater (the term of art for this is a larger standoff). Some military designs get quite complicated. The shape of the detonating wave is carefully controlled by changes to the lining, and by using wave-shaping devices. A wave-shaping device changes the detonation wave, usually to increase the forward velocity of the tip of the jet. In a simple jet forming shaped charge, we might see a copper cone, with an angle of 42 degrees, at the forward end of the high explosive charge. 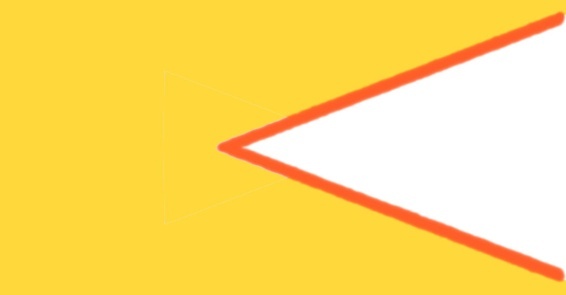 In the drawing, the white area is open air, and the gold color is the explosive, the orange is the copper. The copper might be 2.25 millimeters thick, and the diameter of the charge 85 millimeters. The jet velocity of such a charge might be 8,000 meters per second, about the same as the speed of the detonation wave itself. The maximum pressure on the copper liner is about 12 million pounds per square inch. If a wave-shaper (in this case, just an air cavity, but other light inert fillers like foam can be used) is placed behind the apex of the cone, the maximum pressures on the cone go up to 27 million pounds per square inch, and the tip of the jet increases to 10,000 meters per second. In addition, we get particles of copper that precede the jet, due to their velocity of 14,000 meters per second. The maximum pressure occurs 12 microseconds after detonation. The maximum velocity of 14 kilometers per second is achieved in 32 microseconds after detonation. That comes out to an acceleration of 437.5 million meters per second squared, or over 44 million times the force of gravity. The copper at this point has not vaporized, or even melted. It has been transformed into a metal spear with enormous kinetic energy. When it encounters tank armor, or the wall of an oil well casing, it transfers its momentum to the material, which also deforms hydrodynamically (like a liquid), making a hole. Both the jet and the target react as liquids at these speeds. The length of the jet may be several times the diameter of the charge. The tail of the jet is moving at a much slower speed, perhaps half as fast as the tip. In oil drilling applications, the jet may be designed to break up into small particles that do not clog the hole in the casing. The liner can be made of a number of different materials, depending on the desired outcome. Very ductile metals, such as copper (or better yet, a composite material of tungsten fibers in an amorphous metal alloy designed to be extremely ductile), can form long jets before breaking up into smaller particles that more quickly lose their velocity in air. The denser the lining material is compared to the density of the object being penetrated, the better the penetration. This is why tungsten fibers are sometimes added to the more ductile metals. The longer range explosively-formed projectiles are often made of copper, formed into a hemisphere, just like the one that started Professor Wood's investigations (but larger, of course). Instead of a range of less than a meter, as jets provide, EFPs can travel a hundred meters or more. Using special wave-shapers, the projectile can be formed precisely, even to the point of having stabilizing fins and rotation. Besides opening up well casings and destroying enemy tanks, shaped charges are used in the military to safely defuse other explosives. The basic copper cone jet-producing shaped charge creates a very thin jet that moves so fast that the target is just pierced, not moved. Thus, the jet can be aimed at the fuse mechanism of a bomb, and miss the primer and secondary explosive. Making the metal liner out of magnesium makes the jet less penetrative (magnesium is less dense and less ductile than copper). Magnesium also is much more reactive than copper, burning in air, and stealing oxygen from most explosive molecules. A magnesium shaped charge jet can cause the TNT or RDX in the bomb to burn, without causing a detonation. Sometimes aluminum is used, for similar reasons. It is less reactive, but more ductile, and cheaper. EFPs allow the bomb or mine to be blown up from a distance, since they have better standoff than shaped charge jets do. De-arming a mine or an improvised explosive device from a meter or two away can sometimes be done without setting the bomb off. Replacing the metal lining with one made of water (sandwiched between two conical plastic liners, so the shaped charge effect still works) makes a device that can still penetrate a half-inch of steel, but then scatters the explosive without detonating it. To counter shaped charge weapons, tank armor has improved. The use of composites instead of steel, the use of layers of armor separated instead of a single thickness, and the use of so-called "active" armor, made of explosive material that disrupts the jet or destroys the EFP, have all been added. In turn, makers of anti-tank weapons have developed ways to counter these innovations. Tandem shaped charge weapons, consisting of two warheads stacked one in front of the other, allow the forward one to travel faster, setting off the active armor or destroying the first layer of composite armor. The slower moving warhead comes in right behind it, and finds a hole where the first layer of armor used to be. Staging the timing of the explosion in a shaped charge can make the jet fragment, so that the fast moving tip destroys one layer of armor, and the slower moving tail then finds a hole. 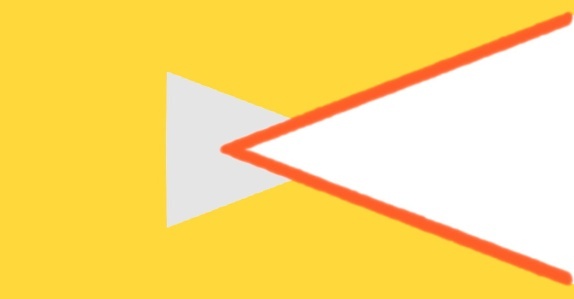 Specialized shaped charges include linear versions, where instead of a cone, a long Vee shaped liner is backed by an equally long explosive charge. These can cut along a line, instead of piercing a hole, and can be used to cut large sheets of metal into smaller pieces. Special rebar cutting charges, using the same principle, can be clamped onto inch-thick or larger rebar, cutting them apart. These can also be used to cut thick steel cables. Another special case of shaped charge is the explosive lens, used in nuclear weapons to implode the nuclear material and cause a chain reaction. The cone is made up of two different explosives, instead of an explosive and a metal liner. The explosives have different detonation velocities. The shape of the interface between the two explosives acts like the curved surface of an optical lens, bending (refracting) the wave front of the explosive detonation in the same way glass refracts light. To make a spherical wave front, so the nuclear core is imploded evenly, the shape of the interface is a hyperboloid. If a flat wave front is needed, the interface would take the shape of a parabola. Just like in optical lenses, multiple detonation velocities (from multiple explosive mixes) can fine-tune the wave front (in the way achromatic lenses do for light). In a nuclear weapon, a pair of precisely shaped wave fronts from two explosive lenses takes the place of 32 or 96 separate single charges, and still provides an improved spherical implosion.